So it’s important to choose investment properties wisely and carefully. Here are five important things to look at when buying your first investment property in Denver – many of which have more to do with attendant conditions than the property itself. Beyond the property’s condition, the next important consideration in buying your first investment property in Denver is the neighborhood. The quality of the neighborhood will not only affect appreciation potential but will also determine in large part the quality of tenants and vacancy rates. If the property seems at first glance to be a stunning bargain, but then you can’t get quality, long-term tenants, then it’s no bargain at all – and maybe even a liability. In general, lower property taxes are better when buying your first investment property in Denver – but not always. As a real estate investor, you will certainly need to be aware of how much income you’ll lose to property taxes. Still, that’s not the whole story. Another important consideration for buying your first investment property in Denver is local rents (if you intend to rent it). You need to know what the average rent is in the area for comparable properties to determine whether rent will cover mortgage payments and other expense with enough left over to justify the investment. Investing in real estate can definitely be a solid long-term earning investment – if you know what to look for when buying your first investment property in Denver. 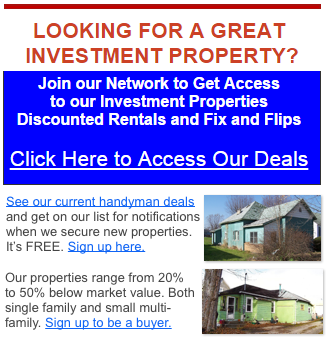 We would welcome the opportunity to help you achieve your real estate investing goals. IF YOU’D LIKE TO DISCOVER MORE, SIMPLY GIVE US A CALL AT (720) 466-7716 OR FILL OUT THIS SIMPLE FORM!